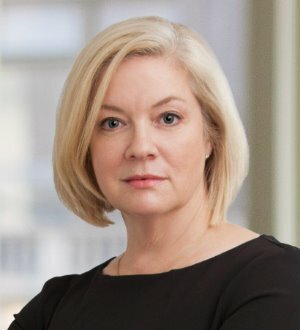 Chair of the firm’s Intellectual Property Department, Julia Gard’s practice includes searching and clearing trademarks, prosecuting domestic and international trademark applications, IP licensing, and litigation before the TTAB. At every turn, Julia serves as a mark maximizer by ensuring her client’s valuable IP assets remain intact and commercially viable. Julia’s experience ranges from searching, clearing, filing and registering trademarks, service marks and domain names in the U.S. and abroad to rendering trademark validity and infringement opinions to filing and defending trademark and service mark oppositions and cancellations before the Trademark Trial and Appeal Board (TTAB). A dynamic and charismatic advocate, Julia counsels clients in the defense of trade dress, trade name, unfair competition and comparative advertising claims. Julia also represents clients involved in UDRP domain proceedings before the World Intellectual Property Organization (WIPO), National Arbitration Forum (NAF) and other global administrative bodies, as well as safeguards against online infringers, including cybersquatters, typosquatters and metataggers. Moreover, Julia helps clients negotiate and close trademark licenses, and protects trademark and other IP assets in mergers, acquisitions and due diligence initiatives. Julia is appreciated for her customized and applied enforcement strategies. Whether on the offense or defense, she offers the ability to help clients protect trademarks and trade dress, as well as safeguard client assets through the creation of proactive enforcement-related policy and policing initiatives. In addition to representing large and established companies, Julia works extensively with startups and emerging companies across the country, who appreciate her direct communication skill, operative business perspective on the law and truly utilitarian advice. Julia has a keen focus on solving the problem and not just identifying it. Julia has authored several articles on trademarks and trademark law in technology and intellectual property newsletters and magazines. She has lectured at seminars on intellectual property, e-commerce and internet law for the Indiana Continuing Legal Education Forum (ICLEF), the Indiana Chamber of Commerce and the International Trademark Association (INTA), among others.